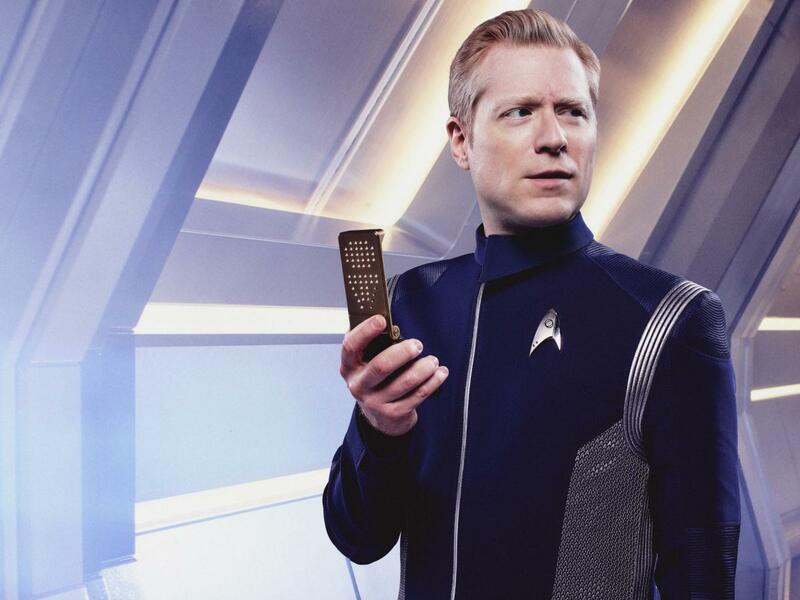 Anthony Rapp and Wilson Cruz on gay romance in "Star Trek: Discovery"
"I never thought I'd be a part of any of this," admitted Rapp. Cruz said it was different for him. "I've always been enamored with the series," he said. "I did see myself as a part of this. I wanted to be a part of Broadway and I wanted to be a part of Star Trek." Rapp said it's exciting to have a groundbreaking storyline on the show. "It's the first time two human beings were born themselves and in love with each other as the same gender," he said. "Even that he's Latino and I'm white. We are also colleagues. It's part of the fabric of it." He added that "anyone would be happy" about the relationship. Michelle Yeoh on playing a captain on "Star Trek: Discovery"
How to watch "Star Trek: Discovery"
Watch the video above to see what else the co-stars reveal about "Star Trek: Discovery." A special broadcast premiere of "Star Trek: Discovery" will air Sunday, Sept. 24 at 8:30 p.m. ET, 7:30 p.m. CT on CBS. After premiere night, all new episodes will be available on CBS All Access.